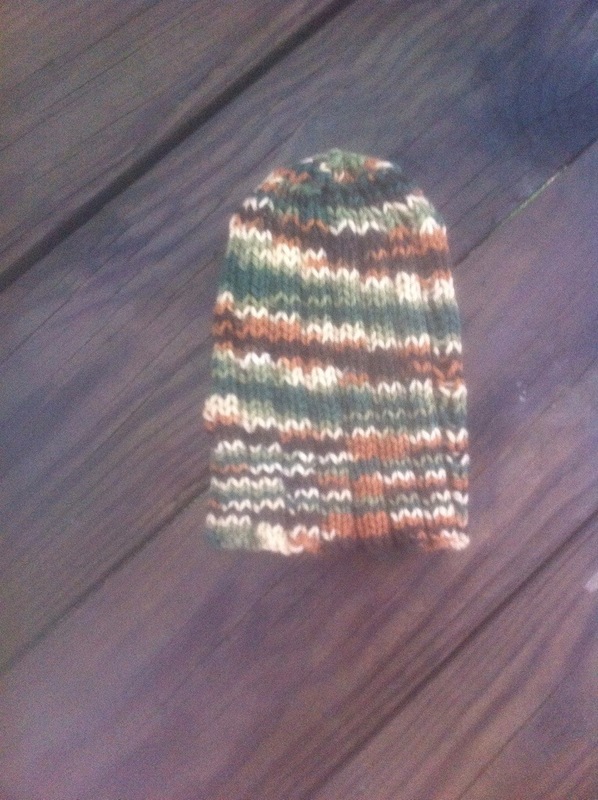 I finished this hat today. It’s in a toddler size. One if my sister -in -laws is pregnant and she and her husband both like hunting/camo stuff. I went to the nice yarn shop and they didn’t have anything like that so I went to Joann’s and they had both military camo and this mossy camo in the Red Heart brand. I like how the stripes came out. I’m going to make some booties to match.